Can we then try to correct the formulation of the DFSG to avoid problems like the one we have now ? Contents (possibly non-free) which would serve the purpose of a free work and which are freely redistributable could be accepted into main together with the free work in question. Of course the limitations of those “contents” would be documented in the copyright file of the package. with GFDL document with invariant section : the invariant section is non-free content serving the purpose of the free software documented. Would this exception be a disservice to our users ? I don’t think so. For the pragmatic point of view it’s clearly a win, we can keep the names of well-branded software, we can have drivers working out of the box and we can keep the most valuable documentation we actually have. From the philisophical point of view it may look like a step backwards, but it’s not. Non-free content is only accepted if it serves the purpose of a free work. And I used the term “content” on purpose, a “program” would not qualify as “content”. Otherwise a non-free software enhancing a free software could have been accepted. But clearly that’s a no-no. We’re about “free software” and that’s what matter for us, so we do our best to spread them and this may require to distribute them together with useful non-free contents. We probably also need to write a special documentation describing in more length the spirit in which each point of the DFSG has been written and clarify with recent history what is commonly accepted behing each buzzword (i.e. “work” can be program, textual content, multimedia content. and other points like this one). But that’s for later I bet. Eric Dorland (the maintainer of mozilla-firefox) is wondering if he can use the name Firefox for his package and still respect the DFSG. His reasoning is that we can call it Mozilla Firefox only because we’re Debian and DFSG point #8 forbids the license to be Debian specific. So he wonders if the trademark license complies with the DFSG. The DFSG has been written with software license in mind and not trademark license (argument defended by Wouter Verhelst). His interpretation of the point #8 of the DFSG is too strict compared to the original purpose of that point (see my mail and this one from Matthew Garrett). His logical conclusion is not coherent with our goal to serve our users (cf. opinion from Anthony Towns). It would be a disservice to our users to include Firefox with a different name. Firefox included in Debian with its original name is still free software – DFSG compliant – (Eric recognizes that himself) and that has always been enough for us to accept to include a software. Nothing more is required. Isn’t that enough to make it clear that we can and should include Firefox with its original name ? It’s not against our principles and we’re not breaking any of our rules. The Mozilla Foundation has good reasons to try to protect his name just like we did when we asked the “TrustedDebian” project to rename itself in order to avoid confusion with us. Their trademark license is perfectly acceptable and we should accept it because we applied a similar one to our own trademark! Today I was reading my backlog of debian-devel and noticed the big thread about the trademark issue with Firefox. It was a pain to read it because as usual some people got so involved that they felt the need to reply to all mails rehashing again and again the same point. I didn’t mention the fact that I disagree with his point of view because I’m not complaining about his opinions, only about his way of behaving on the lists. Your point was taken and I will try to behave better. What does it mean ? That social pressure works … and that all other readers of debian-devel should do the same. When someone clearly goes too far, we should politely invite him by private mail to calm down. When someone receives 10 similar requests I’m sure he will quickly understand that his behaviour is not well accepted. I think that we forgot this when we made the last set of “editorial changes” to the DFSG. We remembered a bit with the general resolution postponing the changes until after the release of sarge… now sarge is getting close and we’re going to face the problems that we created. I hear more and more Debian developers who are disappointed by this move, some are leaving, others are considering to leave. 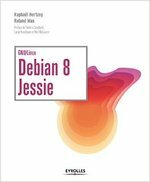 I’m too attached to Debian to be able to leave, I’d rather make Debian change again because I also think we have made the wrong choice. We have many derived distributions which enhances Debian in a way or in another, we shouldn’t make their life more complicated by making changes that they will have to undo just to have a working system. Even forgetting about the derived distros (which are an important part of Debian IMO), our users deserve a working system right after the installation. We have two solutions: either change our policy so that apt-get points to non-free by default and let packages from main depend on packages from non-free so that the required bits of non-free can be automatically installed, or change again our rules so that we can keep those essential bits were it makes sense (in main directly). The first solution makes no sense because of the nature of non-free: we have so many different licenses of packages in non-free that it’s difficult to know which packages can be distributed. So the only real solution is to stay in the old situation: apply DFSG to the software only and keep useful things in main until a free replacement is available. Feedback is welcome… because the only way to make this change happen is to propose a new general resolution.